Robert Henigman was born in Germany, grew up in Slovenia, lived in Munich, and owned a café in Australia before returning to Ljubljana to open Tozd. My parents’ had a café, so I grew up in the industry, and this is my passion. I’m a chef, by profession, but I always want to put more into it. So in Tozd it’s not just about the food and drink, but the experience, a good vibe. It’s like when you come to my home. I want you to feel welcome, that you can relax. When I opened Tozd this area was not so lively, but I was looking for something with potential, not a mainstream café. The position by the river is excellent, and right by the music and architecture schools, so that’s the kind of customers we attract. I’m very focused on staff, that’s a priority in this business, to have good relationships. And to be here, to be with the customers, because I work here as well. I like to hang out and see and hear what they like. It’s very personal. In that way Tozd is really part of me. I like walking on Rožnik Hill. It’s beautiful, and I can never get enough of it, so it’s good there are many different paths. What about for food and drink? I like Monstera Bistro. This for me is #1. A little expensive, but the food is great. And TaBar, a tapas place in Ribji Trg. Drinks, not so much, but I like Magda, by the people who used to run BiKoFe. Yes, go to the galleries, like the Museums of Modern Art in Metelkova and Cankarjeva. 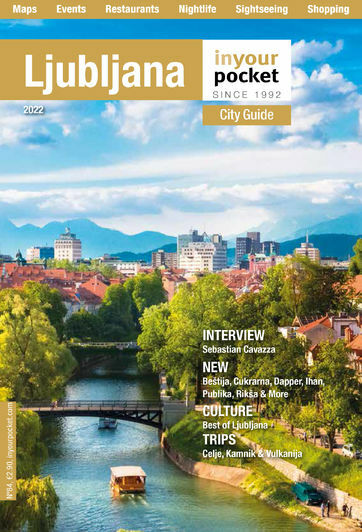 There’s more to Ljubljana than the castle. Why should people come to Slovenia? It’s landscape and place in Europe. When you’re here you can go to the forest, the mountains, the sea, and just one hour to Italy, Austria, or Croatia. I lived in Australia, and when I came back I saw Slovenia differently. I didn’t focus on the negative, but on the people, and on the tourists coming every year to Ljubljana. We’re opening up, and businesses like mine are changing too. It’s good for the city, and it’s good for people to come here.